Custom-designed floor coverings represent a considerable investment. Like your home, a rug needs regular maintenance and cleaning to maintain its value. Who can you trust in Fair Oaks and the greater Sacramento area to care for your treasured investments? Allied Custom Upholsterers, Rytina Fine Cleaners, and Sacramento’s finest interior designers point their clients to Artistic Associates for full-service cleaning and maintenance of rugs, carpet and upholstery. Our careful procedures, experienced technicians and in-house workshop are the primary guarantee that your Oriental and custom rug will come back beautiful. Artistic Associates is also fully insured and bonded. 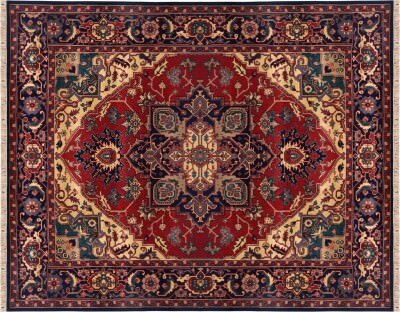 Do not let an ordinary carpet cleaning company ruin your Oriental rug. There are many ways to damage these heirlooms. Natural dyes made from vegetables, minerals and even crushed insects can easily bleed. Hot water cleaning treatments used for synthetic carpets damage wool fibers. Artistic Associates is aware and prepared for all of these circumstances and more. We apply more than forty years of experience with Oriental rugs and the specialized training from the Institute for Inspection, Cleaning and Restoration to every job we undertake. Such expertise is essential if you want your rug to look like new, instead of shopping for a replacement. We restore and clean wool, silk and traditional Oriental rugs in our own custom-made facilities. Our custom hand washing procedures will ensure that your beautiful rug will return to you in pristine condition. Your valuable asset will be treated by us personally every step of the way. Artistic Associates applies a carefully designed eight-step process when cleaning every custom-made rug. Heirloom rugs deserve strict attention to detail, and our time-tested procedures provide the quality restoration that you want. With experience, we successfully repair damage fromwater, moths and insects, stains and even pet urine. Artistic Associates also cuts custom-fit underlayments, an essential part of preserving your area rug. Review our facilities, honest pricing and training and you will readily see why we are the area rug cleaning company that Fair Oaks can trust! Please contact us at 916.483.7400.